The Federal Bureau of Alcohol, Tobacco, Firearms and Explosives releases an annual gun trace dataset for each state. The data shows where guns used to commit crimes in that state originated. 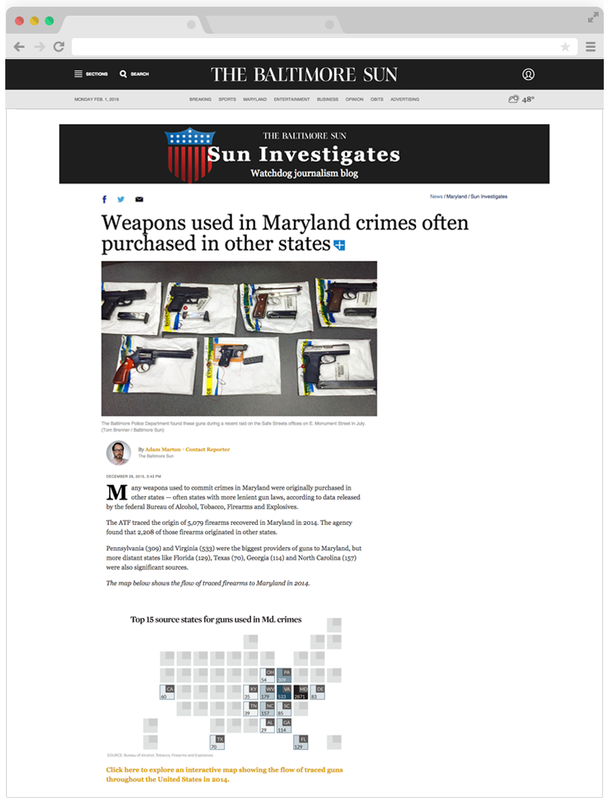 While reviewing the 2015 gun trace data for Maryland, I noticed that the main states funneling guns to Maryland also have much more lax gun laws than we do. This sparked our interest so Jin Kim and I dove into visualizing and reporting. I wrote this piece for Sun Investigates while Jin created graphics and this visualization of the whole data set.